Branding has emerged as a cornerstone of marketing practice and corporate strategy, as well as a central cultural practice. 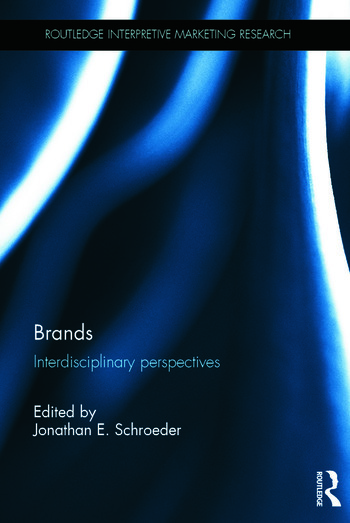 In this book, Jonathan Schroeder brings together a curated selection of the most influential and thought-provoking papers on brands and branding from Consumption Markets and Culture, accompanied by new contributions from leading brand scholars Giana Eckhardt, John F. Sherry, Jr., Sidney Levy and Morris Holbrook. Organised into four perspectives – cultural, corporate, consumer, critical - these papers are chosen to highlight the complexities of contemporary branding through leading consumer brands such as Disney, eBay, Guinness, McDonalds, Nike, and Starbucks. They address key topics such as celebrity branding, corporate branding, place branding, and retail branding and critique the complexities of contemporary brands to provide a rich trove of interdisciplinary research insights into the function of brands as ethical, ideological and political objects. This thought-provoking collection will be of interest to all scholars of marketing, consumer behaviour, anthropology and sociology, and anyone interested in the powerful roles brands play in consumer’s lives and cultural discourse. Jonathan Schroeder is the William A. Kern Professor of Communications at Rochester Institute of Technology in New York. He is the author of Visual Consumption (2002), co-author of From Chinese Brand Culture to Global Brands (2013), editor of Conversations on Consumption (2013), and co-editor of Brand Culture (2006), the Routledge Companion to Visual Organization (2014), as well as a special issue on "Being Branded" for the Scandinavian Journal of Management (June 2013). He is editor in chief of the interdisciplinary journal Consumption Markets & Culture. He has held visiting appointments at Wesleyan University, Göteborg University Sweden, University of Auckland, New Zealand, Bocconi University in Milan, Indian School of Business, Hyderabad, and the Shanghai International Business and Economics University.